Click here to read our SEND Policy and here to read our Accessibility Policy. Our school aims to be as inclusive as possible, and to meet the needs of pupils with Special Educational Needs and Disabilities wherever possible. At Christchurch Junior School, we embrace the fact that every child is different as are their educational needs; this is certainly the case for children with Special Educational Needs. If you have any concerns regarding your child’s progress or well-being, then please speak to either your child’s class teacher or Mrs Esther Curry (SENDCO) to discuss your concerns. Mrs Esther Curry is the school’s SENDCo and has been in post since January 2014. She is a qualified teacher and holds the SENDCO Accreditation Award, OCR Level 5 – Teaching Children with Dyslexia and she is currently undertaking OCR Level 7 – Assessing and Reporting. Mrs. Curry attends relevant training including Inclusion Briefing Networks meeting run by Dorset SEN. She also holds the responsibility for Looked After Children and attends relevant training. The SEND Governor is Mrs. Lesley-Anne Randall-Turner. She meets with the SENDCo to discuss the implementation of the SEN Code of Practice (2015) and to monitor the impact of the SEND provision. Mrs. Randall-Turner is aware of any changes in the SEND policy and practices within the school and reports these to the Governing body. What type of SEN have we provided for this year? The SEND pupils on our register have many needs some of which are classified as complex and have included moderate learning difficulties, Autism, ADHD, Dyslexia, hearing and visual impairments, mobility and physical difficulties, communication difficulties. Many of our SEND children have a combination of these difficulties making their needs complex. How did we identify and assess pupils with SEND? Our class teachers are skilled in identifying children who need extra support and tracking progress. As a school we complete regular assessments which help us to identify any concerns we have about individual pupils. We hold parents’ evenings in Autumn and Spring Term for parents where concerns can be raised by either party. In addition, parents are encouraged to make appointments with class teachers, year leaders and SENDCo if they have concerns they wish to discuss. If a class teacher is concerned about your child’s progress, they will discuss this with you and refer their concern to our Assistant Head Teacher (SENDCo). Your child would enter our monitored list, which allows the class teacher overseen by the SENDCo to evaluate the support the child is receiving. Your child may be placed on an Assess, Plan and Review Tracking Document (APRT); using this document, the class teacher/SENDCo will discuss with you the planned support in place for your child. Review meetings are held termly if your child is placed on an APRT. At any point during the school year we may decide, with your consent, to refer your child to an outside professional (e.g. an Educational Psychologist, Paediatrician, Speech Therapy, CAMHS or the Behaviour Support Service) or to our SENSS teacher for further assessment. How have we approached teaching pupils with SEND? High quality teaching, differentiated for individual children, is the first step in responding to children who have or may have a learning need. We follow a ‘graduated response’ in accordance with the SEN Code of Practice. We regularly review the quality of teaching for all children, including those at risk of underachievement. We recognise that some children require additional support related to specific areas of the curriculum. If a child needs extra help, the teacher will plan focused learning in smaller groups to address these needs. These small group interventions will be run by a teacher or teaching assistant. The SENDCo co-ordinates specialist interventions, such as Catch-Up Reading and Learn to Move. These are selected after careful research and proven success in supporting pupils. Other specialist interventions focus on children’s mathematics, reading, co-ordination and handwriting. If your child needs further support, we may refer to an outside agency. Checking on the progress of your child and identifying, planning and delivering any additional help your child may need (this could be targeted work or additional support) and letting the Special Education Needs/Disabilities coordinator (SENDCo) know as necessary. Writing individual Assess Plan Review Tracking Documents and sharing and reviewing these with parents at least once each term and planning for the next term. These documents set out the main actions the teacher will take to support your child with his/her learning along with some key targets. To support and challenge the Head teacher and SENDCO with regards to SEN within the school. How did we adapt the curriculum and learning environment? The school has an Accessibility Plan that is monitored, reviewed and reported annually to the Governing Body in compliance of legal requirements. We are mindful of the duties under the Equality Act 2010 as amended in September 2012 to provide Auxillary Aids and Services where appropriate as detailed in ‘The Equality Act 2010 and schools – (May 2014)’. We complied with the requirement to support children with Disability as defined by the Act. The school has a specialist Speech and Language Provision for children with complex speech and language difficulties. The provision provided for 6 children this year and is planned to be closed in July 2019. Staff value pupils of different abilities and support inclusion. Within the school, staff and pupils will be constantly involved in the best ways to support all pupils’ needs within the school. There is flexibility in approach in order to find the best provision for each child. Within each class, teaching and learning styles and organisation will be flexible to ensure effective learning. Grouping to support children identified with additional needs will be part of this process. How did we evaluate the effectiveness of our SEN provision? The SENDCo devises the annual school development plan for SEND which was monitored by the Head teacher and Governing Body. The Governor responsible for SEND on school Mrs Lesley Ann Randall Turner meets with the SENDCo and reports back to the Governing Body. The SENDCo completed lesson observations and book monitoring alongside subject leads and Year leads, which can be used to inform school future focus and staff training. Regular assessments are undertaken to assess children with SEND. A range of assessment tools are used for this including reading, spelling and maths. How did we enable pupils with SEND to engage in activities with other pupils who do not have SEND? We are an inclusive school and, as such, encourage teachers to plan for children to remain in class as much as possible. We have Teaching Assistants within all year groups, when a child is identified as SEND the teaching assistant can sometimes be deployed to assist the child with their understanding and access to the lesson. However, sometimes it is appropriate to provide children with additional teaching to support areas which they have not grasped in class. Such activities are targeted and the impact is monitored by class teacher, year leader and overseen by the SENDCo. Children can receive additional support through small groups or 1:1 with a teacher, teaching assistant or specialist. How did we consult parents of pupils with SEND and involve them in their child’s education? In addition to normal reporting arrangements, there will be the opportunity for parents to meet with their child’s class teacher/SENDCO to review short term targets and to discuss the progress their child has made. We also encourage an “open door” approach whereby teachers are accessible at the end of the day. A child’s progress will be continually monitored by his/her class teacher. His/her progress will be reviewed formally and tracked by the class teacher and reviewed by the Headteacher and SENDCo in reading, writing and numeracy. At the end of the key stage (Year 6), all children are required to be formally assessed. This is something the government requires all schools to do and the results are published nationally. Book scrutinies and lesson observations are carried out by the Year Leaders, Subject Leads and SENDCO to ensure that the needs of all children are met and that the quality of teaching and learning is high. We send class and whole school newsletters with information about events that are coming up and have happened. Also extra information can be found on the school website including class news, photograph gallery and useful links. In addition to this, where necessary, we also communicate via home/school link books. How did we assess and review pupils’ progress towards their outcomes? If your child has been identified as having a SEND, this will be discussed with you at parents’ evening. Your child may be provided with an Assess Plan Review Tracker (APRT) to target his/her specific area of need. This will be reviewed regularly with you by class teacher or the SENDCo. If your child has a medical need, they may require a Health Care Plan. This will ensure that the staff working with your child are aware of his/her needs. Plan – this stage identifies the barriers for learning, intended outcomes, and details what additional support will be provided to help overcome the barriers. 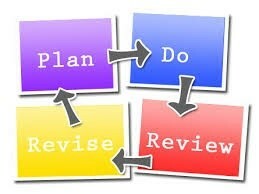 Decisions will be recorded on an SEND Support plan and will form the basis for review meetings. Do – providing the support – extra assistance for learning – as set out in the plan. Review – measuring the impact of support provided, and considered whether changes to that support need to be made. All of those involved – learner, parents or carers, teacher, SENDCO and outside agencies contribute to this review. This stage then informs the next cycle. The APRT identifies the targets that a child is working towards both long and short term. It works as a working document for children and provides an overview of support alongside actions. When a child holds an EHCP their targets are incorporated into the APRT. The targets aim to be Specific, Measurable, Achievable, Realistic, Evaluated and Reviewed. The teacher is responsible for reviewing progress against these targets and reviewing these termly. If your child is identified as having Special Educational Needs and Disability (SEND), the first level of support will be ‘high quality teaching’; we may also provide support that is additional to or different from the differentiated approaches and learning arrangements normally provided as part of quality first teaching, this may be individualised teaching intended to overcome the barrier to their learning. How did we support pupils moving between different phases of education? Transition is a part of life for all learners, whether that involves moving to a new class or moving to a new school. We recognise that transition is an important time for all children, but especially so for a child with SEND. Consequently, we work closely with parents, pupils and staff to ensure these transitions run as smoothly as possible. Planning for transitions with schools will take place in the Summer Term; arrangements for transition to Secondary School and into Year 3 for pupils with SEND will be planned according to individual need. A small group of children with SEND will attend some transition sessions with familiar teaching assistants, at the secondary school in order to prepare them for the changes ahead. How did we support pupils with SEND to improve their emotional and social development? All children take part in assemblies and personal, social, health education designed to promote emotional wellbeing, self-esteem and confidence. If your child is experiencing emotional difficulties and they require additional help, they may be supported by our Pastoral Care Worker. We run lunchtime clubs to support pupils who benefit from more structured play. We also have two trained Pastoral Care Assistants (PCAs) in school. If your child has medical needs, these will need to be discussed with the Welfare Assistant. A Health Care Plan may be required. This will be compiled with the support from the school nurse and in consultation with you. We have qualified first aiders in school who are always on duty at playtimes. The school benefits from a Behaviour Policy with clear rewards and sanctions and in each class the same rules are applied. In respect of Anti Bullying, there is a policy in place that has been drawn up with staff and pupils and is accessible to parents. As part of the curriculum, the school plans activities during Anti Bullying week and each year sets out to parents its core principles regarding inappropriate behaviours and bullying. There are various opportunities for pupils to have a voice on decision making in the school. The school has a proactive school council that meets regularly. What expertise and training have our staff had to support SEND? We openly encourage our staff to take an interest in CPD opportunities which relate to SEND. This year we received support through Outreach from Beaucroft School and SENSS to support pupils with SEND, through high needs funding, which provided specific training to staff. We have one teaching assistant who is a trained ELKAN (language builder) who supports children with speech and language needs. Our teachers and teaching assistants work alongside speech & language therapists, hearing and vision support and SENSS to ensure they are equipped to deliver programs of learning for pupils with SEND. We run programs of CPD through school INSET and meetings these have included sessions on Dyslexia, supporting multi-sensory learning, anxiety and target setting for children with SEND. What specialism services, experience, training and support are available at or accessed by the school? Once the school has identified the needs of SEND pupils, the SENDCO and Head teacher decide what resources/training and support is needed. Wide range of Literacy and Numeracy small group support delivered by TAs and designated teacher. Teaching assistants offering social skills support including Pastoral Care Assistants. Lunch time groups to support children with social development and a quieter designated area. At Christchurch Junior School we believe all learners are entitled to the same access to extra-curricular activities, and are committed to make reasonable adjustments to ensure participation for all. Please contact us if your child has any specific requirements for extra-curricular activities. The school is on a split across two levels, double doors, wall handles, ramps and a lift for access to the second floor. We ensure where ever possible that equipment used is accessible to all children regardless of their needs. The SENDCO manages a SEND budget, used to ensure that all pupils have access to the very best equipment. What special equipment, resources does the school allocate to match children’s special educational needs? The SEND budget is allocated each financial year. The money is used to provide additional support and resources depending on the needs of the children. This additional support may be provided as a result of an identified area of need for a group of children or an individual. The Head Teacher alongside the SENDCo decides on the deployment of resources for Special Educational Needs and Disabilities, in consultation with the school governors on the basis of needs in the school. The Head Teacher and the SENDCO discuss all the information they have about SEND in the school, including the children getting extra support already, the children needing extra support and the children who have been identified as not making as much progress as would be expected. From this information, they decide what resources/training and support is needed. We would hope to resolve, any complaints you may have, which in the first instance should be directed to the Head Teacher or SENDCo. In most cases, we find that complaints can be dealt with successfully at this level. 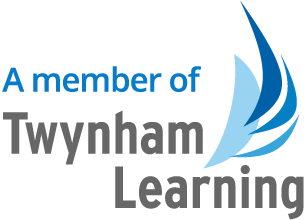 The Twynham Learning Complaints Policy (published on the school’s website) outlines the principles and procedures for investigating any complaints. Children can talk to any adult in school about any concerns that they have. This is stressed to our children on a regular basis and all the children should feel that they have at least one trusted adult in school in which they can confide. What support services are available for parents? We have a pastoral care worker who works three days a week, Mrs Jenny Cowling, who is available to support parents. Mrs Cowling and Mrs Patenotte run parenting courses throughout the year as part of the Twynham Learning Federation which are opened to parents and advertised in the schools Newsletter. The leadership team has an open door policy and are available throughout the school day. The school works alongside Steve Cox O’Rouke from the Family Partnership Zone who can help with signposting and offering support to families through the Family Partnership Zone. Where can the LA’s Local offer be found?